Baugh's Blog: Essay: Goodbye to Dickens - Four Million Words Later! Essay: Goodbye to Dickens - Four Million Words Later! That’s four million words from Charles Dickens, not from me! Mind you, as this project of mine picked up steam, my reviews of his novels did seem to stretch significantly longer. The last ten or so, I reckon, averaged 3,000 – 3,500 words. I suppose I was being influenced by Dickens’s discursiveness. That’s my excuse, anyway. So, why did I embark on this crazy scheme to read and review all 15 Dickens novels (plus Sketches by Boz) within the year? Well, several reasons. 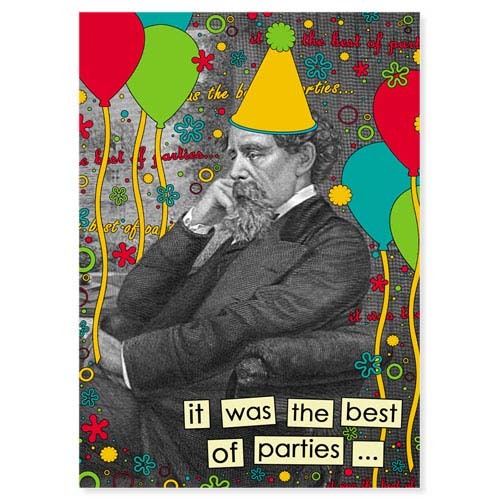 First, of course, was the bicentenary tag; Charles Dickens was born on 7 February, 1812 – two hundred years ago. Second, when I visited my good friend Tony Grant in Wimbledon in 2009, we visited three former homes in England where Charles Dickens used to live: in Portsmouth, London and Rochester. That inspired me then to make a plan to read all of Dickens’s books. And I began. I got as far as Dombey and Son (the seventh novel) and stalled. Then came the blog. And the idea to celebrate the Dickens bicentenary in a special way, in my blog. So I started reading again from the beginning, and doing the reviews for my blog. Third reason: my father died in July, 2011. He was an avid reader of Dickens’s novels. I think when he died he had three complete sets of the fifteen novels. And he would occasionally read the complete set in chronological order. Must have done that several times, that I remember. When he died he also had pretty much all of Anthony Trollope’s novels – about fifty of them. And read them. He told me once that his father, William – who was not an educated or an intellectual man – had read all of Dickens and Trollope. It’s in the blood. My father also loved the Alastair Sim film version of A Christmas Carol. We watched it very year. The hardest part of this project, of course, was getting through all the reading. Most of the books were about 850 pages. I would be reading about 25 pages per hour. So an 850 page book would take me about 7-10 days to read. And that would be followed by all the research, the writing, and the internet trawling for interesting and attractive illustrations, paintings, and photographs. What I tried to do in each book review was to show how aspects of Dickens personal life was reflected in the themes, mood and characters of each novel - to put them in context, in other words. I started slowly – too slowly. But it took me a while to plow through Sketches by Boz. I persevered. My original hope had been to do at least four novels during the summer holidays, but that didn’t pan out, because of two extended trips. So by the end of the summer, I was looking at this situation: I had six novels done, and there were nine to go. It seemed hopeless to believe I could complete the project as planned – by the end of the year. But I took Dickens as my model, and set out a very disciplined reading programme. If Dickens could work every day for five hours writing, then I could read 100 pages every day, or 150-200 pages each day on the weekends. It worked. By the end of November I had five more blog reviews done and two more of the books read. The task now was to do the research and writing for the backlog of reading completed. December was the crunch month. A couple of books read, and four more reviews written. The review for the last book, The Mystery of Edwin Drood, was completed on 28 December! So, what have I learned about Charles Dickens during this year? Here are some randomly organised thoughts about the great man. · Dickens had an incredible energy, an amazing capacity for work. During his first four or five years as a novelist he was often writing two novels simultaneously – whilst also writing articles and stories for newspapers and magazines. He also had a very busy calendar of social engagements – at many of which he was obliged to deliver a prepared speech. For most of his career, he was also editing – not to mention contributing regular articles and stories for – his own weekly magazine. · Dickens was an avid walker. He used to stroll through London at all hours of the day and night. Or he made extensive hikes through the country. He would walk an average of 12 miles per day. During these walks he would work through ideas, situations, and settings for his books. He would ponder plot, create characters, and declaim dialogue out loud. He could let his imagination run free. 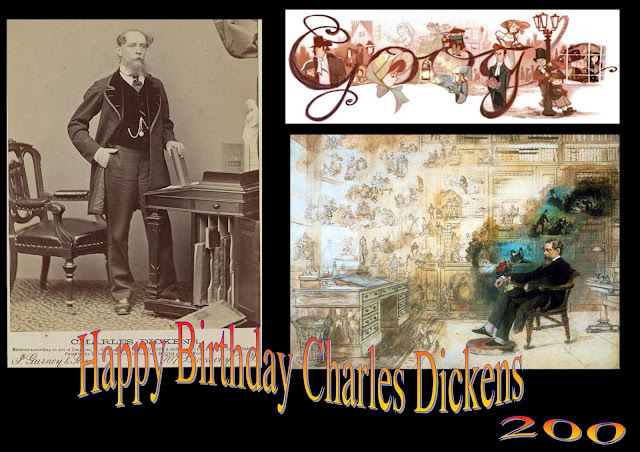 · Dickens was a very generous man. He helped innumerable charities – often he would be the key-note speaker at dinners designed to raise funds for charitable institutions. Many of his early public readings were done as benefits. He also gave generously to campaigns mounted to support families left in financial difficulties by the death of friends. He was a close friend of the very rich philanthropist Angela Bourdett-Coutts – together they planned and organised campaigns of social relief. For several years, for example, they ran Urania Cottage, a home for former prostitutes – Dickens planned, designed, and organised the place. He met with and advised the staff regularly. · Dickens loved the theatre. When he was a young man in London – in his late teens – he attended theatrical performances four or five nights a week. He even toyed with the notion of becoming a professional actor, before his writing career took off. But after he was married, and he could afford homes with sufficient room, he began organising annual amateur theatricals – organised to take place in the family home on Twelfth Night. He would recruit friends and family to make up his cast of actors. And, working as an impresario, Dickens would arrange and organise every aspect of the production – including taking on a leading role. Later on, these amateur productions would be taken on the road and presented publicly – sometimes at places outside London. The proceeds would benefit some charitable cause. · The key event in Dickens’s life, the episode that he could never forget and never forgive, was the time he was forced to work as a twelve-year old in Warren’s Blacking Factory in London. The rest of his family had joined his father in the Marshalsea Debtors’ Prison. Charles took cheap lodgings in a terraced house nearby in Southwark. Even worse than that humiliation, was the fact that when the family were able to pay up their debts and leave the Marshalsea, Dickens’s mother continued, for a while, to send him to the factory. He kept this deep wound to himself through his whole life – revealing it only to his close friend and confidant John Forster, when he was planning David Copperfield. · All of Dickens’s novels were written in weekly or monthly instalments. Writing and publishing the book in monthly issues had several beneficial effects: Dickens could respond almost immediately to the success or failure of individual plot lines, or characters, and adjust the narrative accordingly; he could add incidents and conversation that would hold topical interest; and he could generate future sales by adding elements of suspense to the conclusion of each monthly instalment. The downside, of course, was that he could not change his mind mid-book and do a major review or re-structuring, when a plot-line wasn’t working. This didn’t bother Dickens much in the early novels – he simply used a picaresque, episodic structure. Later in his career, he showed a lot more care and interest in created a unity of structure – so that characters are used not just because they are interesting and amusing in themselves, but also used to advance the plot. 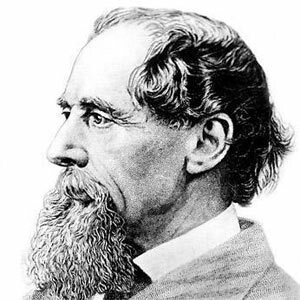 · Dickens is invariably portrayed as the champion of London, the author who introduced Victorian London – in all its multifarious ways and conditions – to the world. This is undoubtedly true of his earlier period. But it is not often recognised that he grew weary and disgusted with the place. In the last fifteen years of his life, or so, he began to avoid the City: he travelled constantly in France; and he moved to a house near Rochester in Kent called Gad’s Hill Place. The three large epics of his later career – the so-called London trilogy – show a distaste for what the city had become in his eyes, a place of greed and corruption, with a society obsessed with money and social position. · Dickens experienced a classic mid-life crisis. He grew more and more dissatisfied with his wife Catherine. He began to see that they had never been truly compatible with each other. This growing alienation from her was exacerbated when he met the young actress Ellen (‘Nelly’) Ternan. Dickens eventually arranged a legal separation from Catherine, and began a clandestine relationship with Ternan. The affair was very discreet: Dickens needed to protect Ellen’s own reputation (she was always chaperoned by her mother – when Dickens bought or rented homes for her to live in, Mrs. Ternan was always there), and he was desperate to maintain his standing with his admiring public. His financial position was at stake – but, more importantly, he relied on the adulation of others to boost his self-esteem. With this in mind, Dickens often reacted defensively when he was criticised by friends and associates over his treatment of Catherine. Some of the things he said about her, in his need to justify himself, were quite deplorable. He severed relationships with many long-term friends. · Dickens was a self-made man. He was self-educated – he got some minimal schooling at a young age, but enjoyed none of the educational opportunities that came to middle-class and upper-class boys. It was something he resented – and many of the charitable causes he supported had to do with the proper education of children. He educated himself through work (he had been briefly a newspaper man, a law clerk, and a reporter of proceedings in the House of Commons), but also merely by his unending travels on foot around London. He learned by observing – looking and listening – and seeing how the different social classes interacted with each other. · Dickens was always looking for ways to earn more money. As he grew older, his income grew dramatically, but he also incurred more and more expenses. He took on insane amounts of work and obligations in order to increase his revenues. Dickens was always worried about being able to maintain his standard of living, but he also had that chronic fear of losing everything and falling into debt. He didn’t want to repeat the mistakes of his father. The physically punishing series of public reading tours he engaged in during the last decade of his life were motivated, in part, by the need to consolidate and increase his financial health. So, goodbye to Charles Dickens! It’s been a long, fascinating journey. I hope that I have at least inspired a few of my blog readers to check out a novel, or two, of his that they have not read before. Me? After a substantial break from the great man, I think I’ll be back to re-read some of his best. But, now, on to Virginia Woolf. Who’s afraid of Woolf, I ask. Care to join me and Tony? Details to follow. 2013 – the year of the Woolf!